When business acumen isn't enough. 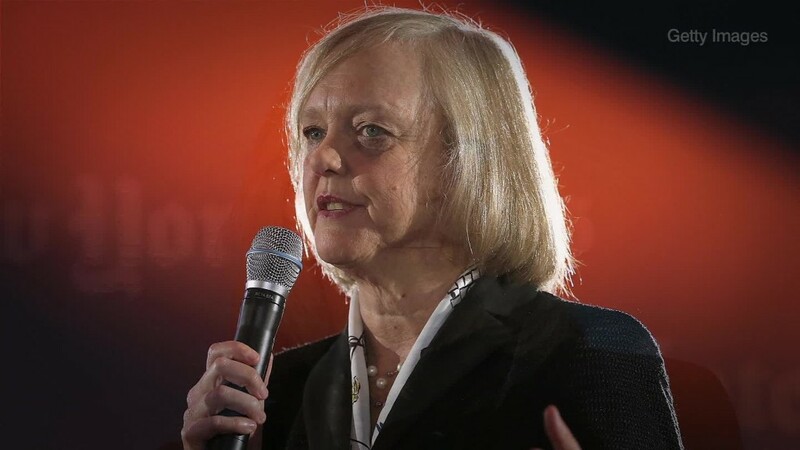 Hewlitt-Packard CEO Meg Whitman -- who is taking over HP Enterprise in the company's split -- said Carly Fiorina's experience working in corporate America doesn't by itself make her the most qualified Republican presidential candidate. "While I think business strengths are important, I also think having worked in government is an important part of the criteria," Whitman said in an interview with CNN's Poppy Harlow. "I think it's very difficult for your first role in politics to be President of the United States and so I think having experience in either the Senate or as the governor of a state is really important." Fiorina, a former HP CEO, has cited her business experience as one of her biggest strengths in her run for president. In fact, in Wednesday's debate, Fiorina said, "I had to report results every 90 days in excruciating detail. I had to answer every single question about every single result, and every single projection in public until there were no more questions. And if I misrepresented those results or those projections in any way, I was held criminally liable. Imagine if a politician were held to that standard of account." However, Fiorina has been criticized for laying off roughly 30,000 workers while serving as the head of Hewlett-Packard (HPQWI) from 1999 until 2005. She's also taken heat for the company's plunging stock price during her tenure after engineering HP's failed merger with Compaq. In the face of this backlash, Fiorina has emphasized the level of accountability and scrutiny that CEOs face -- making a distinction between herself and many of her opponents who are career politicians. Whitman disagrees. She said the two roles aren't as different as Fiorina suggests. As CEO, Whitman herself has cut thousands of jobs and knows a lot about what it takes to run for public office -- she ran for governor of California in 2010. "[W]hile there may not be day-to-day accountability like our earnings reports, you have to get reelected," she said. So who does Whitman think has what it takes to be president? Although she told Harlow in an interview in June that Fiorina "has a lot of strengths," she's now publicly backed New Jersey Governor Chris Christie. She cites his experience in politics for her early backing of him, despite lagging poll numbers. "I believe his record, of being able to work across the aisles and get things done in NJ was going to be an important criteria for the next president," she said. However, she was less certain about who she'd vote for if Christie doesn't get the nomination -- remaining especially tight-lipped on her feelings about Donald Trump. Instead of taking a position on the other former CEO in the race, she said she'd rather see "how the process goes."